Fans will have to wait a bit to see Black Panther return to theaters. The iconic superhero will slink back into cinemas in July 2018 when the solo Black Panther film premieres. Filming on the movie is slated to begin next January, and now, we have finally learned what its working title is. The working title of Black Panther has officially been coined as ‘Motherland.’ Of course, the name clearly alludes to the story of Black Panther and its focus on Wakanda. The fictional country is often referred to as the hero’s motherland, so does this mean the film will similarly hone in on the African nation? Well, yes - but we already knew that. The cast and crew behind Black Panther have been open about the film’s focus in interviews. Chadwick Boseman (T’Challa/Black Panther) told Yahoo! Movies the film will depict the hero’s origins. Director Ryan Coogler also talked about the film and said the standalone will start shortly after the end of Captain America: Civil War. He told /Film that fans will see T’Challa mourn the loss of his father and explore his new powers as Wakanda’s king. To do the origin of Black Panther right, there will need to be a heavy focus on Wakanda itself. The nation is very closely associated with Black Panther, and Wakanda’s hi-tech equipment has made the country one of the most advanced in the Marvel Universe. In the comics, Wakanda defends itself against foreigners to breed its intentional isolationist state. However, Black Panther and the Wakandan people begin to gradually connect with the outside world after years of concealment. Coogler talked about how the film’s creation of Wakanda would align with its comic book roots while still mirroring real-world culture. The film will be directed and co-written by Ryan Coogler. 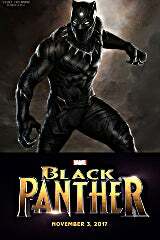 The cast features Chadwick Boseman (42) as Black Panther/T'Challa, Danai Gurira (The Walking Dead) as Okoye, Michael B. Jordan (Fantastic Four) as Erik Killmonger, and Lupita Nyong’o (Star Wars: The Force Awakens) as Nakia. Black Panther hits theaters on July 6th, 2018.